When you first meet Melissa Beard, she is quiet and subdued, but the jewelry hanging from her neck speaks volumes. The vibrant and colorful handmade vessels offer a statement all their own: they prove she's come a long way from making beads with a Hobby Lobby startup kit. Moving from Texas to Charlotte five years ago after a single visit to the Queen City ("We loved it, just said 'Yup, that's it, we're moving here,'" Beard says), she was browsing online one day when she came across a site that mentioned lampworking. Beard became fascinated and began exploring the science of glass. "I learned I could actually melt glass myself," she says. "Glass is hypnotizing when it's glowing brightly from the flame and flowing with gravity." 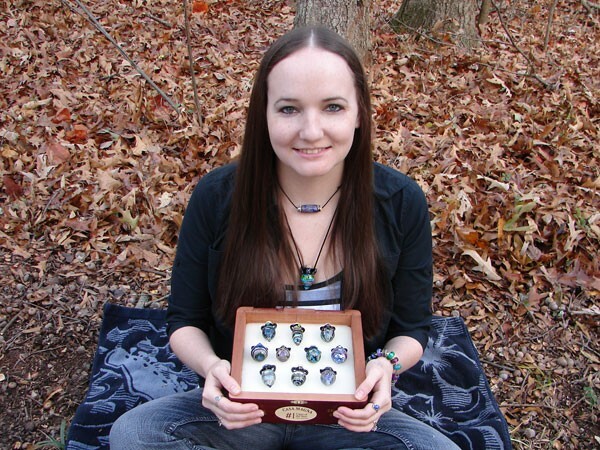 After some further digging, she took her love into the Charlotte community and found fellow glass artists via an online forum, developing her signature style as she learned. Each piece of jewelry is handmade with the use of blowtorches, small pieces of colored glass heated in the flame until they start to flow as liquid and manipulated into wearable glass art that has a vintage feel. Clean lines and organic flowing shapes that feature dark colors with a touch of sparkle define her work while simultaneously appealing to both sides of the gender gap. With a clear vision in mind for her line, Beard set up shop on Etsy, an online marketplace for handmade and vintage finds, in 2011. "I always thought that if I sold like 10 things, ever, I wouldn't be embarrassed about it," Beard says. Now the shop has far surpassed her expectations, with 60 sales and counting. Items move at an unpredictable rate that can go anywhere from six pieces a day to one a month, with business coming in waves but still giving the support needed to continue her work as a jewelry maker full-time. "The possibilities of this medium are seemingly limitless and there is always something new to learn," Beard says. "It is just magical in so many ways." Creative Loafing: What sets your work apart? Melissa Beard: I make many different things from glass, but my favorites are the vessels because they remind me of something you would find in an old treasure chest. They are small, two handled vessels, adorned with silver, copper and colorful glass and fitted with a cork stopper to keep oils, perfumes or other tiny treasures. My glasswork strikes a balance between feminine and masculine in a way that I think sets it apart from a lot of other glass work. In a way, it contradicts itself. Is there a reason you were so drawn to glass as a medium? I think it's in my genes actually. My grandmother was a big marble collector, and she passed away before I got into glass. But I make marbles now, too, and how cool would that have been? She probably would have bought them from me. I collect them now, since I have a bunch of hers and my own now. What would your dream job be if glasswork weren't an option? That's a hard question because there are so many... I could see myself being a world-traveling geologist, perhaps just a mad scientist, a woodworker, and a welder. Ultimately, though, the one thing I've always wanted to do is run a huge animal sanctuary. For all kinds of animals - cows, chickens, pigs, dogs, cats, turkeys, turtles, ferrets - the list is endless. If I ever found myself in a position to make that happen, I would be the happiest person on earth. Anna Wintour, Calvin Klein, Kelly Cutrone, and Alexa Chung have more than fashion in common. The reputable style icons all fall under the same zodiac sign. 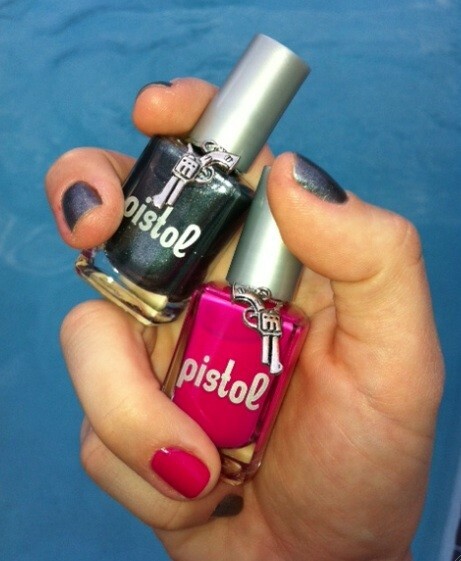 The Scorpio is a strong and determined sign, which translates into a confident sense of style. As leaders, the Scorpio always dresses to reflect his/her role. Usually, you’ll catch the crab sporting polished and professional wear. In some ways guarded and mysterious, the Scorpio is drawn to dark colors like black and burgundy. Because of their typical ability to lead others and be in command, Scorpios buy only the best and have a deep desire for luxury in every sense. All items found at Revolve Upscale Men's Consignment, 1222 East Blvd. I've always felt like bowling lanes were MADE for sliding down on — their slickness begs for it. 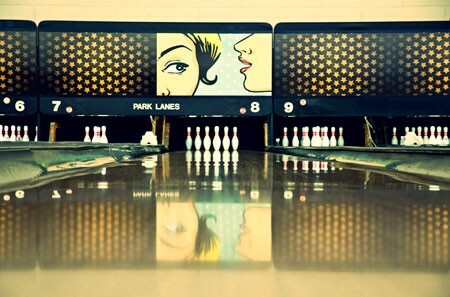 Well, if you're looking to see someone breaking the bowling alley rules, head out to 10 Park Lanes for its Pin Up, Pin Down event, happening on Sunday, Nov. 11. Decade fashion never dies, and that evening, looks from the 1940s and '50s (with a modern twist, of course) will be showcased by models down the runway — the bowling lanes. Local boutiques will share their interpretation of the modern day pin-up girl and all items featured will be available for purchase at their respective boutiques. Participating stores include: Blush, Blvd at Southend, Vivian B, Vestique, Summerbird, JT Posh, Sloan, Nordstrom and Solstice. In addition to their clothes, the hair and makeup of each model will reflect the pin-up era too. Guests can expect cat eye glasses, high waisted shorts, pumps and menswear. “Using the 40s and 50s as our inspiration, we've created a runway show that captures the modern day pin-up girl. A girl that exudes confidence, adventure, and charisma. I am proud to launch FashionFrontRunner with these ideals in mind," says Merritt Rea of FashionFrontRunner, who will handle the event's styling and production. Proceeds benefit Levine Cancer Institute’s Carolinas Ovarian Cancer Research Fund. Tickets are $10 and up and can be purchased here. 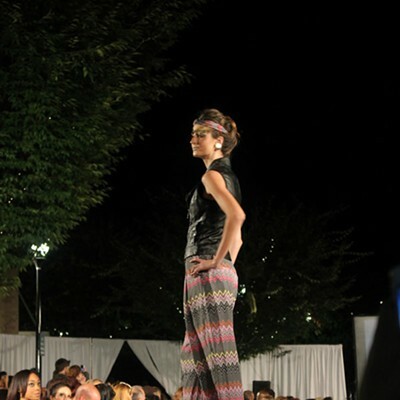 Doors at 6 p.m., fashion show at 8:15 p.m. Fashion: Not only can it makes you look cool, but it can also make you feel cool, too. Local apparel company Canvassed Apparel — known for gear catering to snowboarders, wakeboarders and skateboarders — is doing its part to raise money for the victims of Hurricane Sandy up north. Due to the recent devastation of Hurricane Sandy's path up the east coast, Canvassed Apparel, a Charlotte-based clothing company, has released a special edition "Right Coast" t-shirt. $5 from every sale of this shirt between now and the end of the year to be donated to the American Red Cross to benefit Hurricane Sandy relief. Also known as STZ (pronounced "steeze"), Canvassed Apparel brands heavily on the east coast's surf/skate/snow/wake industry. "We saw an opportunity to use our most popular product to generate support for those who are experiencing the aftermath of Hurricane Sandy," said STZ - Canvassed Apparel co-owner, Todd Clark. "The Right Coast tee design has been part of our line for quite some time. As our most popular graphic, we saw fitting to pair it with a message and opportunity for our followers to unite for a great cause." 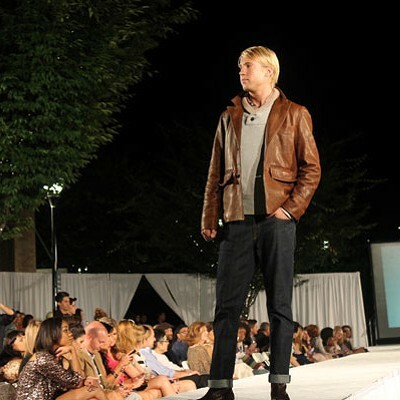 "A big part of our philosophy is our philanthropy of social responsibility," Canvassed Apparel co-owner Todd Clark told CL in a previous interview. "We want to be that company that gives back to the community because the community is what makes you." 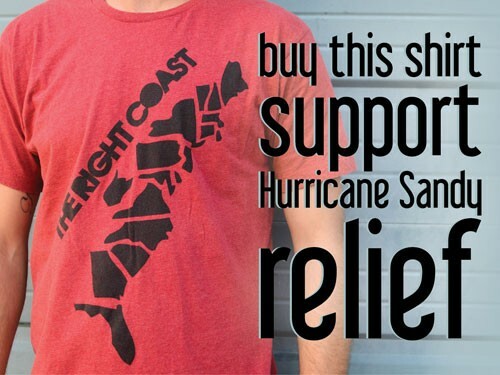 The special edition colorway of the Right Coast t-shirt is available at www.CanvassedApparel.com for $20, $5 of which will be donated directly to support the American Red Cross relief efforts for Hurricane Sandy. 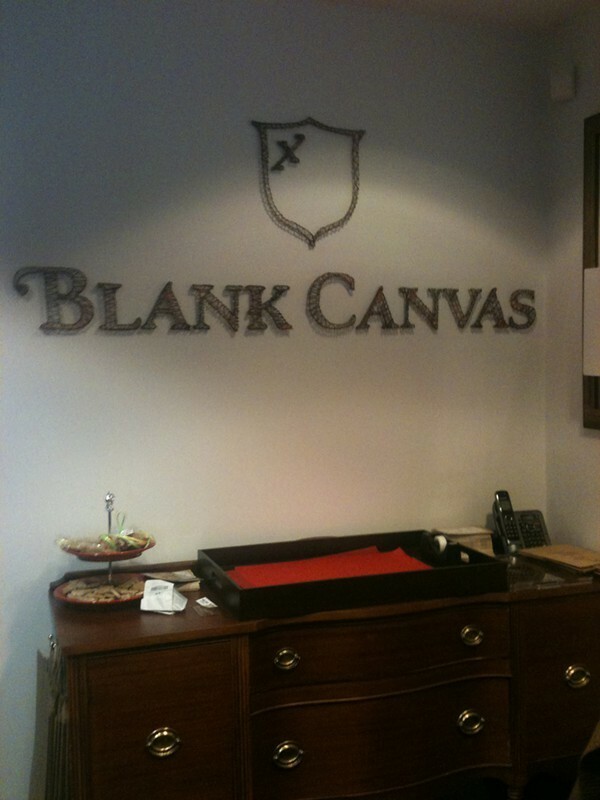 South End has seen the addition of a new boutique to its retail family, Blank Canvas, Inc.
Blank Canvas carries merchandise with eclectic, fashion-forward men and women in mind. Owners Nicole Blackmon and Harold Jordan are entrepreneurs with a lengthy background in design, working as an interior designer and architect, respectively. They were working together at an architecture firm when Jordan convinced Blackmon to turn the dream of opening her own boutique into a reality. "That was about a year and a half ago," says Blackmon. "We had some unexpected challenges. We originally wanted this location, then it became unavailable. So we went elsewhere looking at five or six different places then we came on this radar so we jumped on it within two days of it being back on Craigslist." Jordan says opening the store has been "a real learning experience, every single day." Of all the things that go bump in the night, procrastination is the beast we know best, a tantalizing creature promising to indulge our indolence with fairy-tale endings only to leave us freaking out every time. So even though you saw the signs (the suddenly fiery foliage, pumpkins popping up everywhere seemingly overnight, the countless Facebook event invites titled with badly played puns), Halloween’s fast approach has taken you by surprise (BOO! Sorry, had to do it.) You might feel too old to dress up, but ride that train of thought long enough and boom, you’re dead inside. 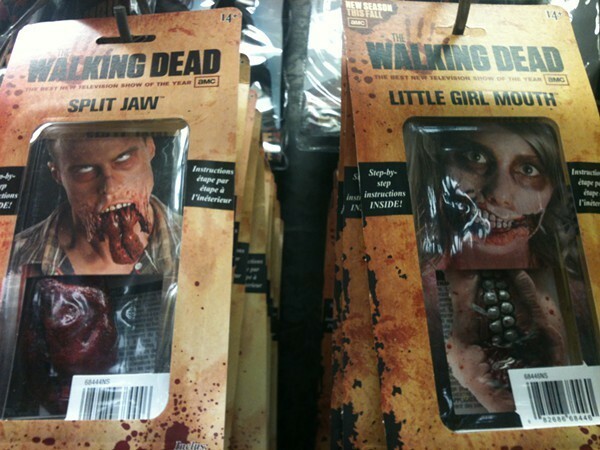 Not that “dead inside” wouldn't a clever Halloween costume make, but here are a few other last-minute ideas. We get it. Between finding a way to fund your existence and whatever else that leaves time for, creativity can easily fall through the cracks. 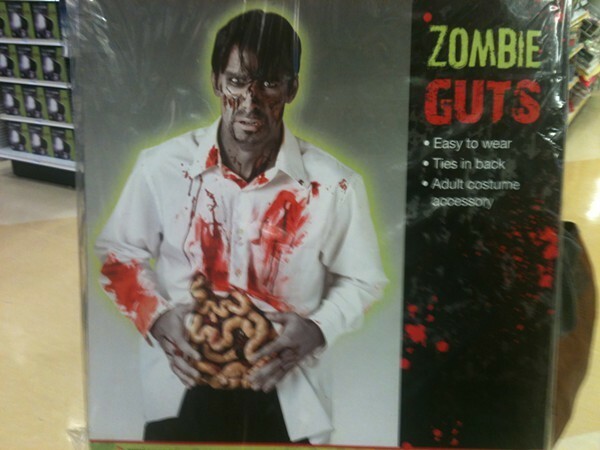 Lucky for you, zombies are all the rage this year. Party City has a great selection of stuff designed to maximize the gross-out factor, and you can scrub it all off at the end of the night in a nice, appropriately themed bath salt soak. They say fashion has a way of coming back 'round, as if trends and cuts are "recycled" every so many years. Well, I guess they're right! (No, we don't know who "they" are but, who cares, they're dead on.) Just in time for Halloween, we present, quirky and colorful costumes made of items you would typically dispose of. (Insert evil laugh here). They're baaaaaaaaaaack! If there's one thing Style Night Out 2012 accomplished last Thursday night, it was to make me want to go shopping. Bad. The third annual event took place at Morrison in SouthPark, featuring the fall fashions of more than 30 independently owned boutiques, with models styled by Charlotte makeup artists and salons. As I sat in my chair, gazing at the various trends (Side note: Faux fur vests? Not for me, but they were all over the runway. I did enjoy the sparkly New Year's Eve gear, though.) I couldn't help but feel a little proud of Charlotte. Our city isn't exactly a destination location in the South for shopping, but here's an event that makes you think twice about that statement. Congratulations to organizer Effie Loukas and her team for a job well done. Check out this quick video and slideshow I put together of some of my favorite looks from the runway. In other words: Friends and family, these are pieces you can pick up for my upcoming birthday.